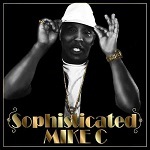 Mike C, the head honcho at Miracle West Entertainment, has worked closely with DJ Central and Blue Pie for some time now, and it’s nothing short of an injustice that a banger like Sophisticated hasn’t been heard by more people. Today, we’re gonna change that! Listen to the flow, that bass, that beat, that hook! The sensual lyrics paired with the chill beat perfectly suit a night out hooking up. It ain’t a party song for no kids, and its smooth beats and lyrics will transfix you. It’s got some tight beats and a tight hook, just how Mike C and his friends like it. You can see the same sorta flow in their older hit, California, but ramped up to match the pace of a faster beat! Mike C and his crew are here to stay, and we got big news coming regarding Miracle West, so stay tuned fam!